Hastings: Mrs. Hastings` Defence of H.P.B. MRS. HASTINGS' DEFENCE OF H.P.B. Editor, Canadian Theosophist: -- As a trained newspaper man, as you knew I was when we first met, more than 40 years ago, I have read with concentrated attention the first of Beatrice Hastings' pamphlets "Defence of Madame Blavatsky." In my old days I have reviewed many a book for the paper with only passing interest. But when it came to a book defending my beloved teacher to whom I owe such a debt of gratitude, I was immediately mentally alert. She seized immediately a point I have often stressed; she says H. P. B. was a woman of genius; for I consider her the most marvellous genius of the 19th century. I remember meeting Bridges who had been a member of the T.S., after his articles attacking H.P.B. in the "Arena", a Boston Magazine, had appeared. It was in front of the Boston Globe office where I was employed, and I told him after some hot, interchanges of opinion, that I did not care if she had been a woman of the streets, she had given us those remarkable books Isis Unveiled and The Secret Doctrine, and was "a woman of genius." Mrs. Hastings' book can be obtained from the Hastings Press, 4 Bedford Row, Worthing, Sussex. England, for 2/6. She skilfully eviscerates the Messrs. Hare in the beginning. She shows several instances where the March Hares quote from the Mahatma's Letters and leave out important words or sentences. "Falsus in uno, falsus in omnibus" says the legal phrase. False in one thing, also in all," is the verdict on the book the March Hares wrote. It is totally discredited for all time. So far as I was concerned it never struck me that H.P.B. needed defence. But recently I found in a Masonic magazine published in Melbourne a vicious attack on her memory that used this report of the "Society of Psychical Research" as its principal weapon, and wrote a defence which was considered too vigorous by a friend at Point Loma to whom I showed it. 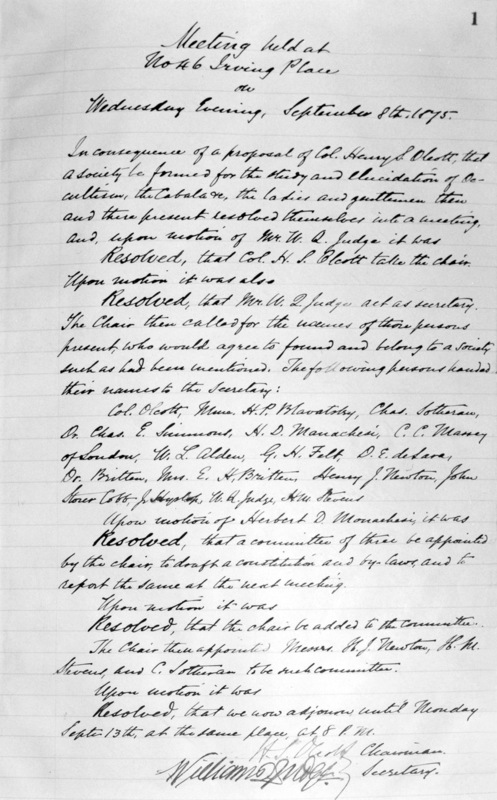 Mrs. Hastings shows up the deliberate "gaps" in that report and grew indignant that she was required to accept opinions of the immature young man who was the Society's agent, and fell the victim of the missionaries and the Coulombs who H. P. B. took in and fed and gave them habitation as well as food, for them to plot against her, like snakes in the grass, as they were. Mrs. Hastings concludes her preface with a request for help from all Theosophists who can give any information that can help her in her defence of H.P.B. Her address is given above and I hope every Theosophist who can, will do so. I do not know whether you were present at a gathering of delegates to one of the conventions in Boston, when Dr. Archibald Keightley, a man of unimpeachable integrity told how when he was correcting the proofs of The Secret Doctrine, and she had gone to bed, exhausted, he would come down in the morning to resume his work, and found many sheets of paper written in a different handwriting than hers, going on from where she had left off. I remember Dr. Anderson was there. If you were there, it would help to corroborate my testimony, if you would write Mrs. Hastings to that effect.